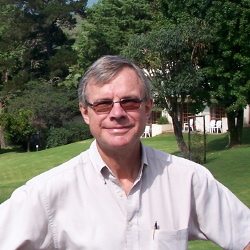 Stephen Turner has over 35 years’ consulting experience spanning policy and programme evaluations; participatory and community-based surveys, development planning and management; project planning and monitoring; and institutional, policy and programme development for governments as well as bilateral and multilateral organisations. An applied social scientist by training, he works successfully in multiple professional environments, including civil engineering, nature conservation, social protection, community-based development, non-governmental organisations, and the development planning and management systems of governments and international agencies. Stephen is an experienced team leader in evaluation, planning and management roles for a range of clients. He performs well in complex and sensitive institutional and programme settings, and develops structured and successful approaches to untangling the multiple factors, perceptions and motives that must be understood in complex evaluation tasks. His longest field experience has been in southern Africa, but his career spans many other African and Asian countries. He has written and published extensively.